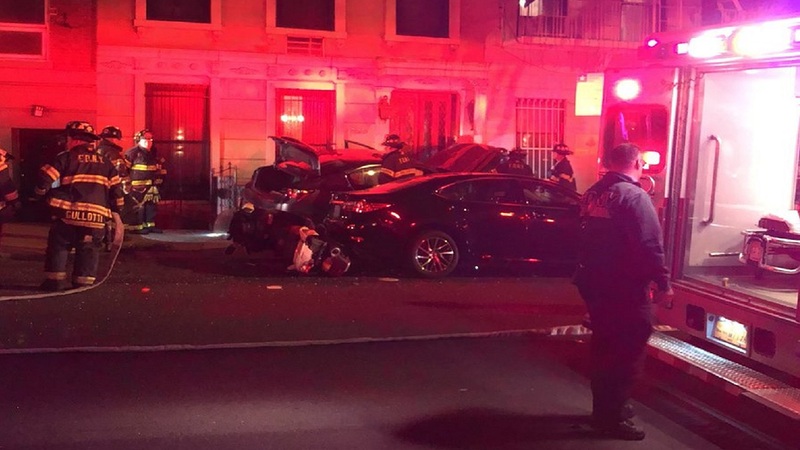 UPPER EAST SIDE, Manhattan (WABC) -- A car jumped the curb and struck the side of a building on the Upper East Side. The car hit the side of the apartment building on East 58th Street just after 4 a.m. Wednesday. No injuries were reported. The building did not appear to sustain any structural damage.